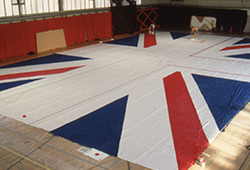 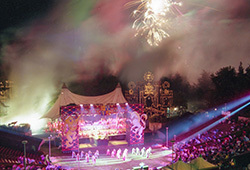 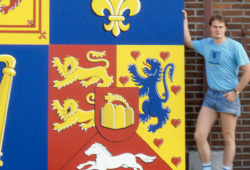 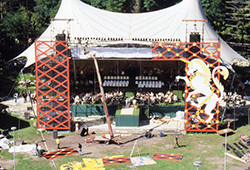 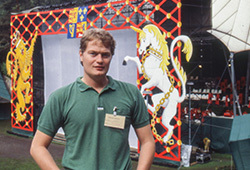 This stage set was for the Berlin 'Bandanza' in 1990. 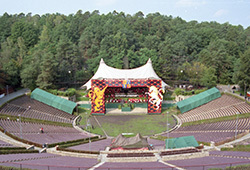 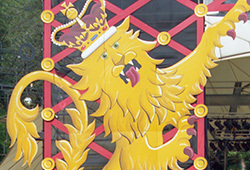 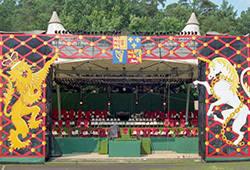 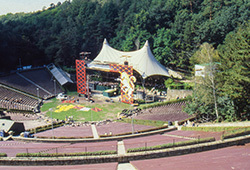 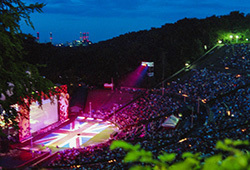 It was a British Military music presentation, held in the Waldbühne next to the Olympic Stadium. 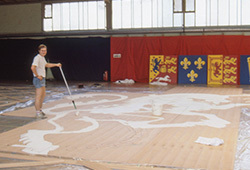 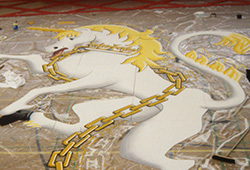 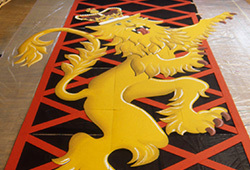 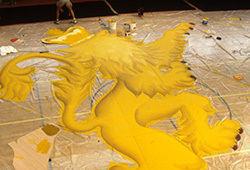 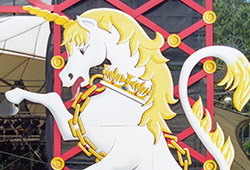 For this show I did all of the decorative painting, although the producer of the show (Sir Michael Parker) was responsible for the initial design. 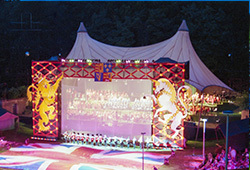 Despite heavy rain on all 3 evenings it was a great success.